The first time I dived at the remote Kingman Reef, in 2005, I thought I found paradise. In the middle of the Pacific Ocean, almost 2000 km south of Hawaii, lies a pristine coral reef, covered with colorful corals and a carpet of giant clams with unbelievable electric blues and greens. When I returned in 2007, I thought I had entered the dark land of Mordor. What was the reason for such a shift – from pristine to degraded? We found the answer right away: the wreck of a teak-hulled fishing vessel filled with iron-rich compressors, engines and unidentifiable machinery. We will never know who the ship belonged to, and what happened to her crew. All we know is that that vessel wasn’t there two years earlier. The ship is a ghost, killing the reef around it little by little. A scientific study published today at The ISME Journal shows that the shipwreck is releasing iron slowly into the surrounding waters, thus fertilizing the iron-poor waters of Kingman Reef and causing a population explosion of algae, and microbes. The result is the killing of one km of reef in less than three years. Precious old shipwreck news from the early 1930’s ! You are looking for information and news on shipwreck discoveries, expeditions, underwater archaeology and treasures from the deep ? Unknown wreck stories… Plenty of photos… The latest news on the subject… The underwater lost treasures website dedicated to all genuine treasure lovers and scuba divers, underwater archaeology and maritime history re-discovered. In these pages you will find several hundreds of direct links to news article about lost treasures around the world. Just get your gears and enjoy the ride…! ExxonMobil Corp.’s blockbuster $2.2 billion deal to drill for oil in the frigid waters north of Russia with OAO Rosneft is the latest sign of the energy industry’s white-hot interest in exploring above the Arctic Circle. The region encompasses about 12 million square miles — just 6% of the earth’s land mass. But it is estimated to contain the oil and natural-gas equivalent of 412 billion barrels of oil, about 22% of the world’s undiscovered oil and gas. More recently, thinning ice has made it easier to work in some parts of the Arctic. And the persistently high price of oil, along with political constraints elsewhere, has encouraged Royal Dutch Shell PLC and Cairn Energy PLC to invest billions of dollars on previously unexplored areas. The challenges, however, are daunting. The extreme weather and ice flows during colder months could wreak havoc on oil-industry platforms. Cleaning up an oil spill would be a huge effort. The seas there don’t support the microbes that can break down oil droplets. Existing air strips, ports and villages in the Arctic couldn’t accommodate the type of massive response that occurred in the Gulf of Mexico last year. The Arctic is largely untouched by industrial development and, due to its year-round cold, would be least resilient to an oil spill, notes the Arctic Council, an intergovernmental forum of nations bordering the region. Despite such environmental objections, arctic exploration is poised to move ahead quickly. Exxon and Rosneft, for instance, hope to begin preliminary exploration work next year. A Rosneft official said on Wednesday that the two companies hope to drill their first exploratory well by 2015 and, if everything goes well, could begin production in the region by early next decade. Rosneft estimated the areas it hopes to explore over the next few years have estimated recoverable reserves of 4.9 billion tons of oil, or about 36 billion barrels. The snowshoes, knife and boots belonging to Roald Amundsen as he led the first team to reach the South Pole are among objects on display in the UK’s first ever full-scale exhibition on the life of the Norwegian explorer, opening at the Polar Museum on September 2. The museum, part of Cambridge University’s Scott Polar Research Institute, is celebrating the life and exploits of the man is regarded as one of the greatest polar explorers in history. His many, almost superhuman, accomplishments included the first transit of the Northwest Passage, conquering the South Pole, attaining the North Pole, crossing the Arctic Ocean by airship and completing the first journey around the Arctic Ocean. Amundsen’s place in polar history is secure. 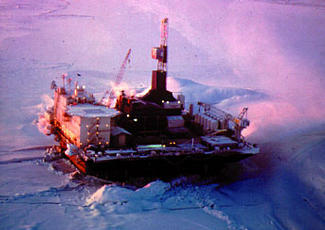 What Amundsen understood was the value of thorough planning, preparation and continuous adjustment to local conditions. His methods are as valid today as they were a hundred years ago. Librarian and Keeper of Collections at SPRI, Heather Lane, said: “A hundred years after the expeditions made by Scott and Amundsen, cooperation between British and Norwegian scientists has never been stronger. It seemed fitting that the Polar Museum should celebrate Amundsen’s life and achievements. Though mainly known in Britain as the first person to the South Pole, there is so much more to this extraordinary man. “In a career as an explorer which spanned more than 25 years he achieved more than most people do in a whole lifetime. “This exhibition examines his life from his youthful aspirations to emulate his hero, the famous 19th century Arctic explorer Sir John Franklin, through a career learning the skills of polar travel which would propel him to worldwide fame and ultimately to his death attempting to rescue another polar explorer.